For American people of British descent, see British Americans. A number of English colonies were established in North America between 1606 and 1670 by individuals and companies whose investors expected to reap rewards from their speculation. They were granted commercial charters by King James I, King Charles I, Parliament, and King Charles II. The first permanent settlement was founded in 1607 on the James River at Jamestown, Virginia upstream from Chesapeake Bay by the London Company. This was followed in 1620 when the Pilgrims established the Plymouth settlement in New England. English Catholics settled the Province of Maryland in 1634, with Cecilus Calvert, second Lord Baltimore. In London beginning in 1660, all colonies were governed through a state department known as the Southern Department, and a committee of the Privy Council called the Board of Trade and Plantations. In 1768, a specific state department was created for America, but it was disbanded in 1782 when the Home Office took responsibility for the remaining possessions outside of the American colonies, namely British North America in what is now eastern Canada and The Floridas (the latter would be ceded to Spain in 1783). 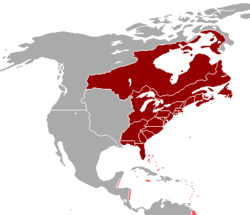 Several British colonies and territories were ruled by Britain from 1763 after the Seven Years' War, but were ceded to Spain (the Floridas) or the United States (the Indian Reserve and Southwestern Quebec). Others became part of British North America and later Canada. ^ "A Summary View of the Rights of British America – Thomas Jefferson". ^ Foulds, Nancy Brown. "Colonial Office". The Canadian Encyclopedia. Retrieved 7 July 2018. ^ "Rhode Island Royal Charter of 1663". sos.ri.gov. Secretary of State of Rhode Island. Retrieved 14 April 2011. ^ "Charles II Granted Rhode Island New Charter". christianity.com. Christianity.com. 8 July 1663. Retrieved 14 April 2011.